In short, the scientist and his peers, including his wife and son created a fictional character: a long-dead man named Philip Aylesford. And then -- via the combined energy of eight people participating in a séance -- they set out to contact their own creation. The end game was to prove that ghosts are not independent “beings” existing in some spirit world or after-life, but rather manifestations, often subconscious, of the human psyche. In other words, the energy of combined human thought would manifest a “ghost” that couldn’t possibly be real, a character named Philip whom they had created from whole cloth, right down to historical facts and inaccuracies. Remarkably, the séances occasionally produced contact with Philip, who answered the group’s questions in rapping noises. Many such séances were videotaped in The Philip Experiment, and later, a book, Conjuring up Philip: An Adventure in Psychokinesis (1977) was published, chronicling the whole experience. 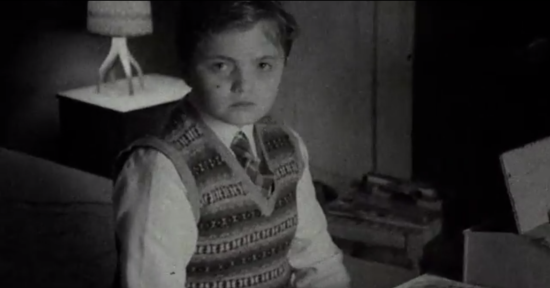 The new horror film from Hammer Studios, The Quiet Ones (2014), opens with a title card suggesting that the film is inspired by a true story. And of course, that’s an old trick in horror movies: connecting a fictionalized story to something “true” from real-life history. In this case, as is often true, “inspired” is a good choice of words because The Quiet Ones doesn’t adhere very closely to the historical record of The Philip Experiment. Yet in the end, it probably doesn’t matter. The film is a solid, non-sensationalistic throwback to ghost stories of yesteryear like The Haunting (1963) and The Legend of Hell House (1974). Like those role models, The Quiet Ones focuses on a small, diverse “team” staying in a lonely house, investigating a haunting. There, the group attempts to determine if there is life after death, or if it is merely encountering the psychic projections of a troubled team-members. 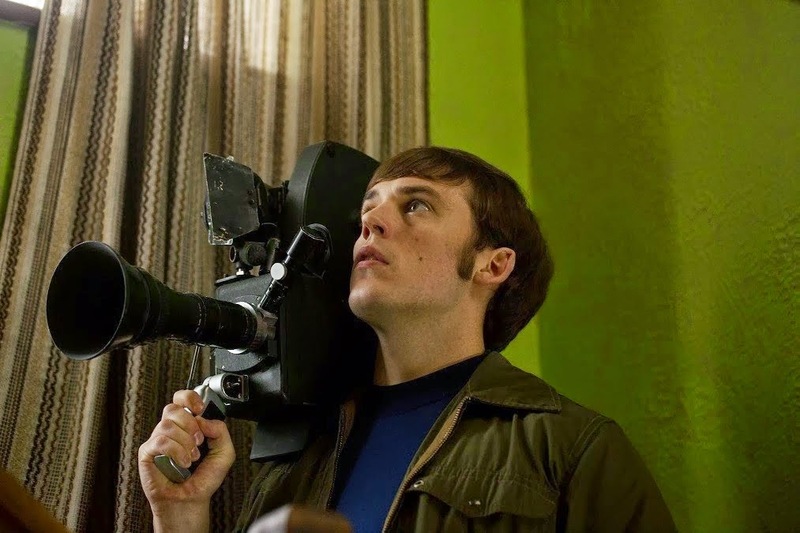 The Quiet Ones is part “found-footage” in format, often adopting the perspective of a camera chronicling the experiment. But for the majority of its duration it is a more conventional or tradition film, in the spirit of those genre classics I name-dropped above. What surprised me most, perhaps, about The Quiet Ones is that it is well-written, features well-developed characters, and doesn’t rely, largely on jump scares or special effects. The film’s final scare is a disappointment, and off-key, for certain, but up until that point The Quiet Ones remains a solid, well-crafted work that deserves to be favorably compared with last summer’s The Conjuring (2013) a film also set in the 1970s and also involving ghosts and demons. Unlike The Conjuring -- which works just fine as a roller coaster ride but little more, The Quiet Ones is internally-consistent, highly-focused, and thus, a scarier and more lasting experience. It's just too bad the ending blows up the good-will generated by the body of the film. In England in 1974, a professor at Oxford University, Joseph Coupland (Jared Harris) undertakes an experiment to prove that a young woman, Jane Harper (Olivia Cooke) is not possessed, but rather manifesting her negative energy in reality. Coupland once attempted to prove the same thing with another subject, David Q (Max Pirkus), a boy that believed he was being haunted by a spirit called “Mr. Gregor,” but failed, he believes, because he didn’t have more time to work with him. Now he is obsessed with making his case. When Oxford cancels Coupland’s experiment, he takes Jane, an engineer named Harry (Ror Fleck-Byrne), a nurse, Krissi (Erin Richards) and a sensitive camera-man, Brian (Sam Claflin) out to a dilapidated estate in the middle of nowhere. There, tests on Jane resume, and Coupland will stop at nothing to make her manifest “Evey,” the spirit she believes possesses her. Soon, Brian begins to develop feelings for Jane, and resents Coupland’s bad treatment of the subject. And when Jane is marked -- branded -- by a demonic glyph, Brian researches her history and finds a shocking connection to a real life girl named Evey Dwyer. If you were to concoct a story in which The Legend of Hell House’s determined physicist, Lionel Barrett (Clive Revell) undertook an experiment with The Haunting’s Eleanor Lance (Julie Harris), you might come close to capturing the aura of The Quiet Ones. Even Krissi, the sexually-carnivorous nurse of the 2014 film, fulfills an important role from those older films. She plays a latter-day Thea, a Loki-type character who demonstrates affection (and lust) for team-members as easily and frequently as the wind blows. Those older films, much like The Quiet Ones, are as much about interpersonal team dynamics as they are about ghosts or the supernatural. All three films suggest the possibility, at least for a while, that simmering, barely-contained human emotions -- including lust, jealousy, envy, obsession, and regret -- are as much responsible for hauntings as are malevolent discarnate spirits. When we are unsettled, the film implies, some of us can manifest or create Monsters from the Id, or rather from our own subconscious. If you take this idea at face value, it certainly jibes with parapsychological literature. So The Quiet Ones may not tell a true story, but it attempts to accurately convey the essence of the “poltergeist” milieu. Specifically, Coupland’s desire to succeed with Jane harks back to a secret in past, and one wonders, after viewing the film, how much his own psychic energy has “polluted” the experiment. Similarly, every occurrence in the film can be explained in two ways. Either Evey is possessed by the spirit of a demon that a cult once attempted to resurrect, or she has convinced herself that she is, and is manifesting examples of that belief in the flesh. Attacks -- like a nasty bite Coupland receives (off-camera) while exploring a dark closet -- could similarly be the result not of a demon’s rage, but from him scratching his palm on a nail in the dark. I appreciate that the film doesn’t, at least until the post-script, go overboard explaining everything. There may even be a case to be made that some of the characters' sexual desires and impulses are playing in a role in the horrors that occur. Featuring few characters and settings, The Quiet Ones actually feels very much like a good old fashioned ghost story, and not just the latest attempt to create box office buzz. The narrative is carefully constructed, and the action actually looks like it is happening in the 1970s, and not in some Hollywood-ized variation of the 1970s. The performances are all very good too. Claflin’s Brian, in particular, becomes our source of identification. Brian begins his journey not certain “what he believes yet,” and then travels between the poles of extreme skepticism and total belief. But every shift he makes is validated by his experiences, and the film keeps itself open to those multiple possibilities. The film’s ending is, well, unfortunate. I don’t know if it was added in post-production, after a bad test-screening, perhaps, but it certainly feels as though it has been piped in from another feature, not one so sturdily and meticulously constructed. You could lop off this coda, and the movie would still be effective, and actually work a whole lot better. Over the end credits, there are photographs that, in the spirit of The Conjuring, ostensibly reveal the real people involved in The Philip Experiment. These photographs are fake, however, so don’t be fooled. None of the film’s Evey Dwyer background is true, and for me, this isn’t quite playing fair with the audience. It is one thing to state that the film is inspired by true life. It’s another to manufacture photos and put them on screen, implying they are true life. Why not just show the video footage from The Philip Experiment over the end credits instead? The Quiet Ones is, for much of its duration, actually a quiet film, slowly generating a sense of genuine terror. This hard-work all goes wrong in the climax, post-script and end credits, and that’s too bad. For 90 minutes or so, you think you are watching a latter-day Legend of Hell House, only to find out, at long last, you’re actually in The Conjuring 2.